Summer Vegetable Quiche Fill 1 Created with Sketch. 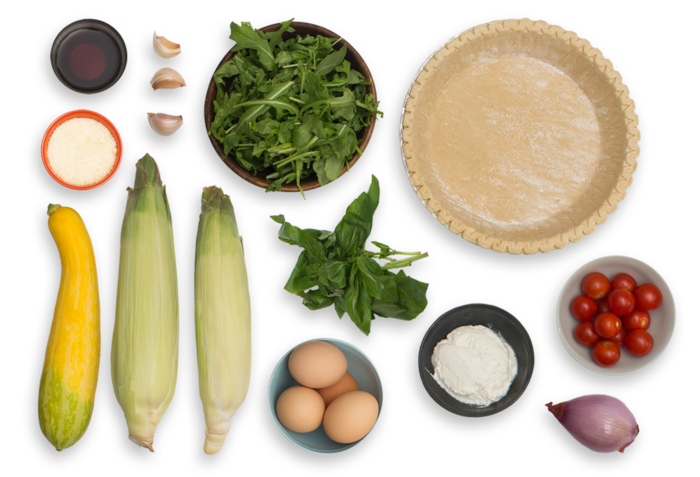 Inside this gorgeous quiche (a classic, savory tart)­, a wealth of the season’s finest produce awaits. 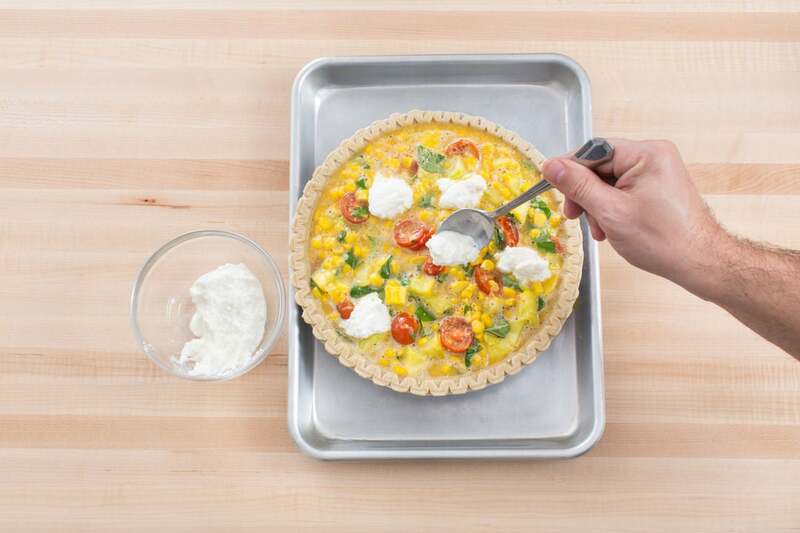 We’re mixing our eggs—the defining ingredient in any quiche—with summer squash, cherry tomatoes, fresh corn and basil, then pouring the rich filling into a flaky crust. And we’re topping it off with dollops of fluffy ricotta. The cheese softens into the filling as it sets in the oven, creating a surface layer of silky, lightly-crispy texture. 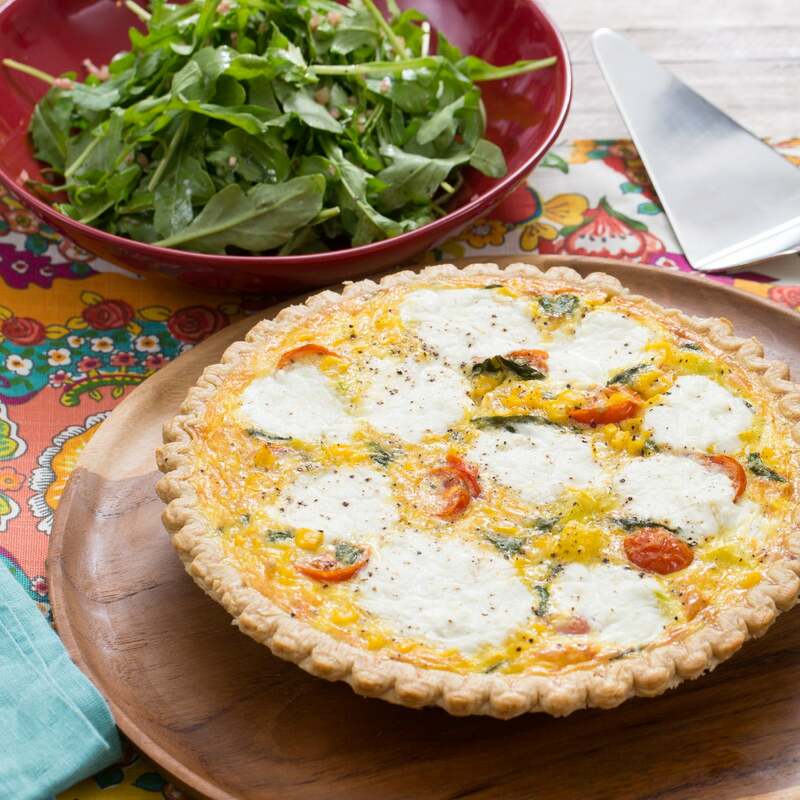 For a refreshing touch, we’re serving this gourmet quiche with a salad of arugula and sherry vinaigrette. Preheat the oven to 425°F. Wash and dry the fresh produce. Peel and mince the garlic. Cut off and discard the stem end of the squash; medium dice the squash. Remove and discard the husks and silks of the corn. Cut the corn kernels off the cobs; discard the cobs. Halve the cherry tomatoes. Pick the basil leaves off the stems; discard the stems. Peel and mince the shallot to get 2 tablespoons of minced shallot (you may have extra); place in a small bowl with the vinegar. In a large pan (nonstick, if you have one), heat 1 tablespoon of olive oil on medium until hot. 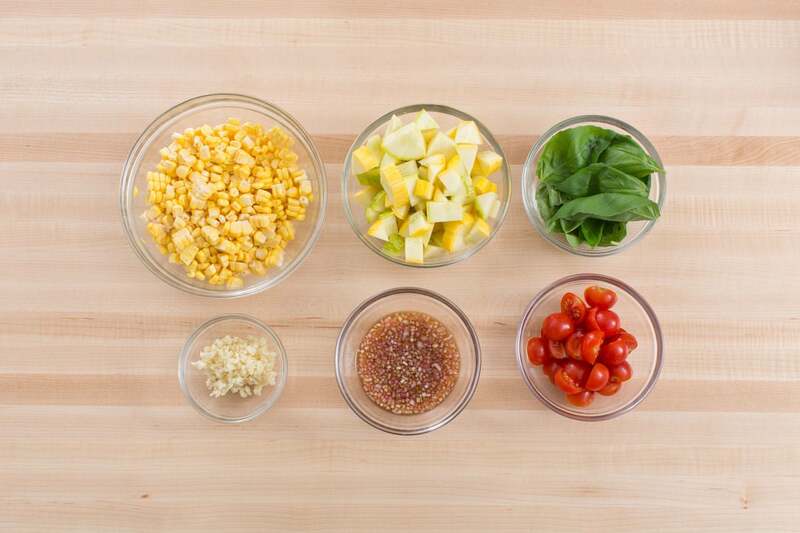 Add the garlic, squash and corn; season with salt and pepper. Cook, stirring occasionally, 3 to 5 minutes, or until softened and fragrant. Add the tomatoes; season with salt and pepper. Cook, stirring occasionally, 1 to 2 minutes, or until the tomatoes have softened. Remove from heat. While the vegetables cook, crack the eggs into a large bowl; beat until smooth. Whisk in the Parmesan cheese and basil (roughly chopping the leaves just before adding); season with salt and pepper. 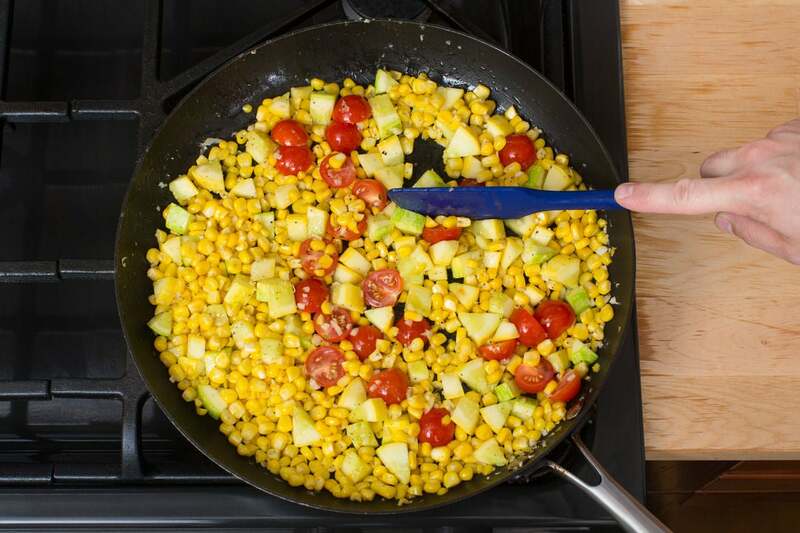 Add the cooked vegetables; stir to thoroughly combine. 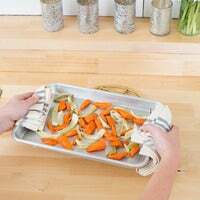 Place the pie crust on a sheet pan. Carefully pour the filling into the crust. Using a spoon, top the filling with 8 to 10 equal-sized scoops of the ricotta cheese, leaving some space between the scoops; season with salt and pepper. Bake 20 to 22 minutes, or until the crust has browned and the filling is cooked through and lightly crispy on top. Remove from the oven. Let stand for at least 5 minutes before serving. 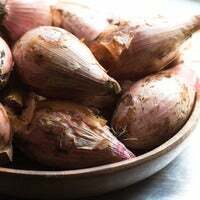 While the quiche bakes, season the shallot-vinegar mixture with salt and pepper to taste. 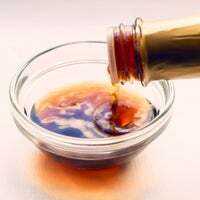 Slowly whisk in 2 tablespoons of olive oil until well combined. 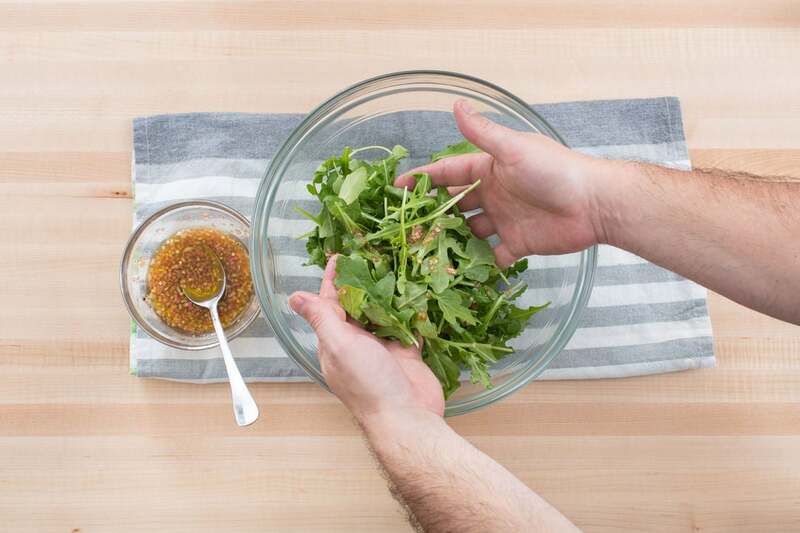 Just before serving, place the arugula in a large bowl; season with salt and pepper. 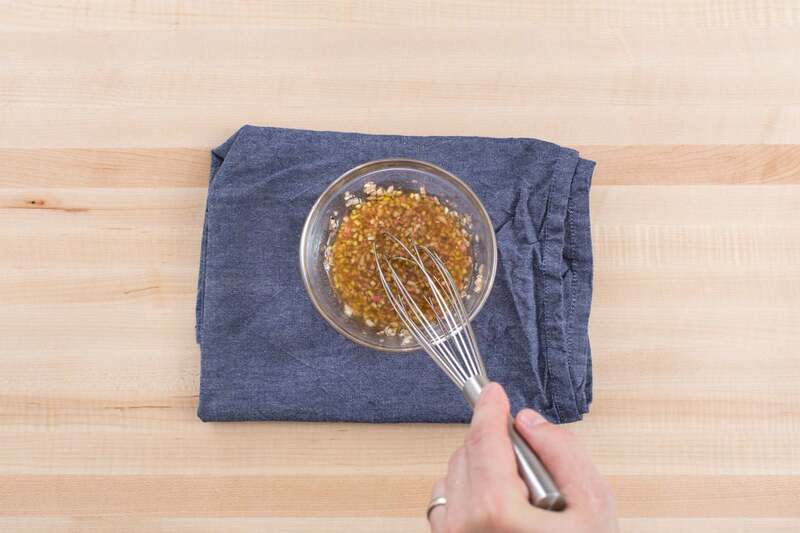 Add as much of the vinaigrette as you’d like (you may have extra). Toss to combine; season with salt and pepper to taste. 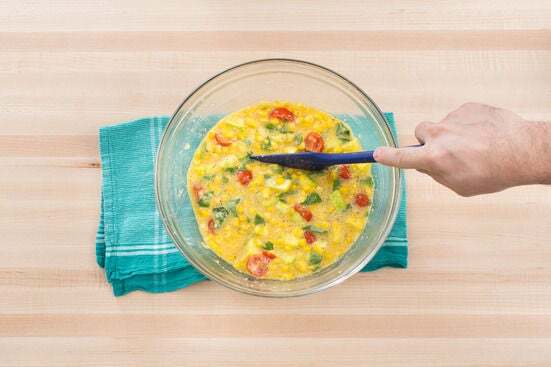 Serve the baked quiche with the salad on the side. Enjoy!